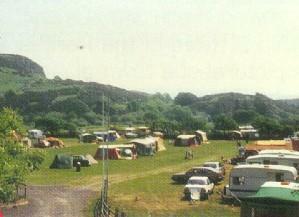 Welcome to Tyddyn Adi the longest established camping site in the area. The Park is set on 100 acres of outstanding natural beauty, nestling at the foot of Moel y Gest mountain and being only ½mile from the unique Black Rock Sands. Conveniently situated for exploring the Snowdonia National Park and Cardigan Bay areas the ideal setting for your family holiday in the unspoilt corner of Wales. Within 2 miles of the Park is the picturesque town of Porthmadog with its shops, supermarkets and leisure centre, Ffestiniog and Welsh Highland Railway's. These add to the numerous other attractions including: The Slate Mines, several of King Edward's Castles, Golf Courses, Potteries, Woollen Mills, Museums, Boating, Sea, Lake and River Fishing, Farm Park. All the above being open to the public. There is plenty of space for children to play and roam about in safety.